Are you listening to your head or your heart? We often allow the Negative Committee in our head to shout so loud that it feels impossible to listen to our heart. … and then we wonder why we’re feeling unhappy, stressed, frustrated, disillusioned with life, people, jobs, relationships etc……. You’ll know when the Negative Committee is ruling your life, if you become conscious about what’s going on in your head. When we start to live from our Heart, we’re able to start creating a life aligned to our inner hopes and dreams and we start to seek opportunities to enable those dreams to become part of our reality. As a result, our stresses fade away and we recognise the things that make us happy. We start to realise that we are in control of our destiny and nobody else (not even our Negative Committee) can stop us living life in the way we want to live it, rather than living life the way we feel we should…. If it’s time to drown out the Negative Committee in your life, The Brilliance Within Life Audit is a great step by step guide to help you. Is it time to start remembering what’s in your heart and to start shutting your Negative Committee up. 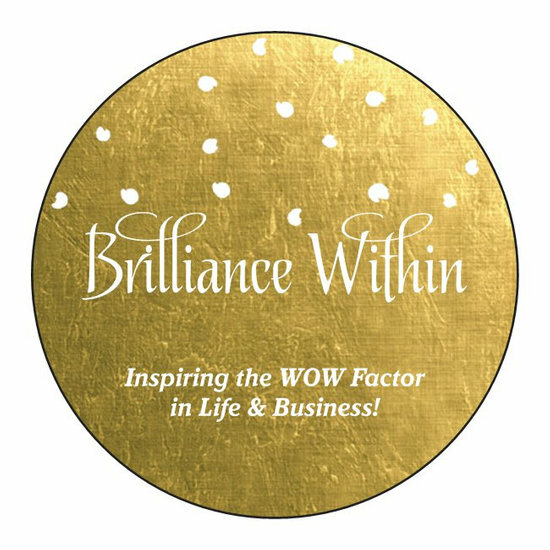 You can access the free Life Audit Step by Step guide when you sign up to the Brilliance Within Blog and you’ll automatically start to receive the guide straight to your inbox. Use Positive Affirmations – they really do work! Our subconscious mind doesn’t know the difference between imagination and reality, so if we tell ourselves something often enough, our subconscious mind will believe it. This can work for us positively AND NEGATIVELY! So, be careful about what you’re telling yourself – if you tell yourself something’s impossible – I can guarantee it will be! Start to tell yourself the positive things and that’s what you’ll start to experience. I’m a great believer in setting some goals and using visualisation, but when we only focus on the outcome and we forget to recognise that there may be a path to follow to reach our destination, we stop enjoying the day to day steps and we feel disheartened and disappointed because we feel like the outcome is impossible to reach. Breaking down a goal into daily steps that can be taken, we start to enjoy the journey and not just the final destination. Sometimes we realise along the route that the destination we were heading toward isn’t actually what we want anymore – that’s fine because we’ve learned about ourselves along the route. As discussed in my previous blog post: How do you know if you&#8217;re on the Right Track? . we all have a choice and nothing is ever impossible. We can choose how and what we think and what decision we make. No matter how bad a situation feels at the time, we can always walk away and there’s ALWAYS a Plan B! When we start to focus on the good things in life (no matter how small they feel compared to the problems…), then we start to notice more good things happening. When we’re honest with ourselves and we recognise that fear is holding us back, we can start to take action that helps us to overcome our fears. If you’ve never read Susan Jeffers book “Feel the Fear and Do It Anyway” – I would highly recommend it! or you can read some of my thoughts about fear here: Why you should &#8216;Fear Nothing&#8217; and Do You Trust Yourself? Feeling fear is a signal we can notice and choose how we respond. The difference between living the life you dream of and a life of insecurities and dashed down hopes, is how we choose to respond to our fears. When we experience fear, we can choose to remember that this is an opportunity to push us out of our comfort zone. (I’m not talking about the fear you may feel when you encounter a dangerous person in the street or your house being broken into… in those cases, it’s right to ‘take flight’). Everybody experiences fear when they face a new challenge (even if it doesn’t look like they are..), the difference is that some people push beyond the fear and some are forced back into their ‘safe corner’. It’s ok to take some risks in life – when you learned to walk, you took risks every time you tried to stand up and take a step. You fell down lots of times and you became stronger and wiser as a result. Start by taking some small risks to push yourself to a new level in your life. What is it you’re avoiding? When we begin to use our inbuilt acting skills and act as if something has already happened or that we already are a stronger, more confident, wiser person etc. there comes a moment where we are no longer acting out the part and we are actually experiencing greater confidence, wisdom etc. Lorna from Cottage Necessities http://www.cottagenecessities.org suggested that this would make a great printable quote, so here’s a link to a PDF that you can use to print off the quote and remind yourself on a daily basis to Listen to your Heart! Previous Post How do you know if you’re on the Right Track? Fabulous thanks – Are you listening to your heart? Thanks for the shoutout Wendy. I’ve used the pretending or acting as if many times and it really helps to lift my confidence and achieve my goal. Affirmation and gratitude help us connect to our hearts. The “ negative Committee “, I’ll have to remember that one. It’s time to send them packing! An amazing article! Each and every quote in here is very inspirational. Your advise on vision board helps me a lot and following it. Thanks for these beautiful share Wendy.